Some of the names may have changed, but Swedish thrashers CARNAL FORGE are back in full force to reclaim their position as one of the heaviest and most hard-hitting bands ever. And don't call it a comeback, because these guys just took a break... to gather their strength and focus on what's important. 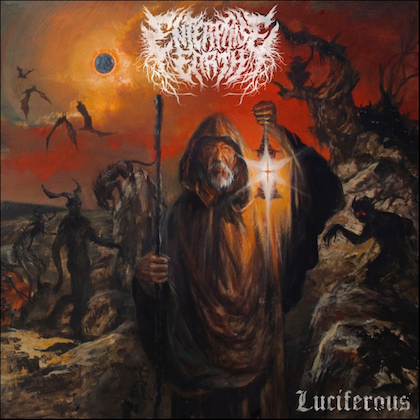 Joining CARNAL FORGE's founding guitarist Jari Kuusisto in the band's current lineup is Jens C. Mortensen (vocals), who sang on CF's latest full-length album, 2007's "Testify For My Victims", along with longtime members Lars Lindén (bass) and Petri Kuusisto (lead guitar) and the group's latest addition, drummer Lawrence Dinamarca (LOCH VOSTOK, BLEEDING UTOPIA). CARNAL FORGE is currently working on two brand new songs at Petri Kuusisto's Studio SoundPeaQ in Sala, Sweden. Video footage from the recording sessions can be seen below. "Testify For My Victims" was released in the U.S. in May 2007 via Candlelight Records.